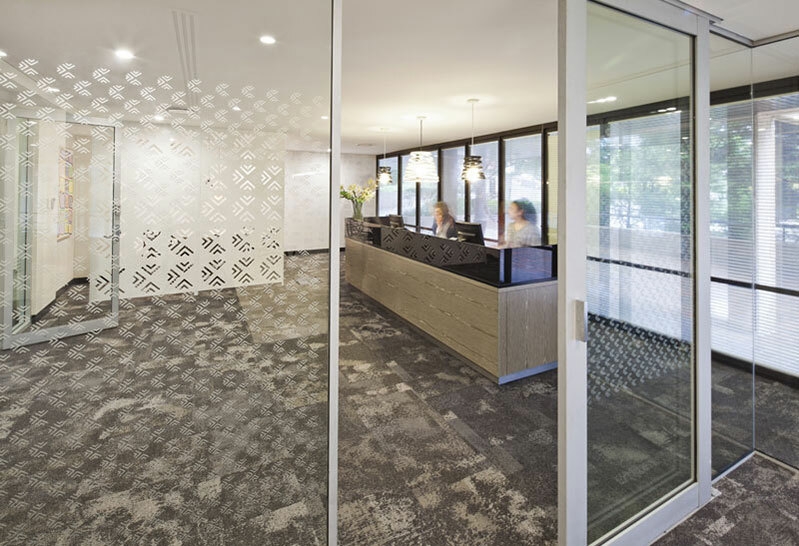 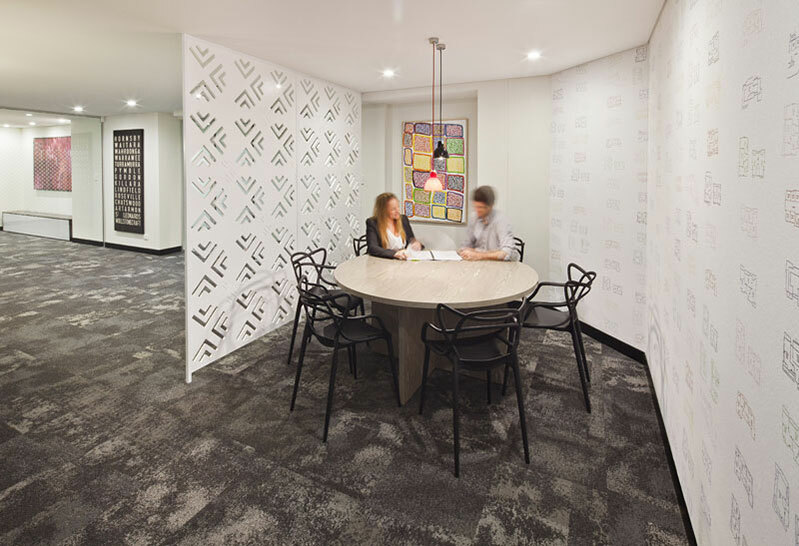 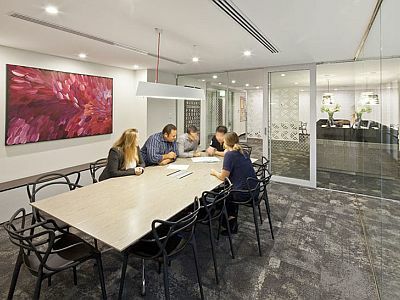 In this new fitout of 300 sqm office space for Strata Managers Lamb and Walters we removed a labyrinth of old-style partitioned office spaces to make way for a contemporary open plan work environment. 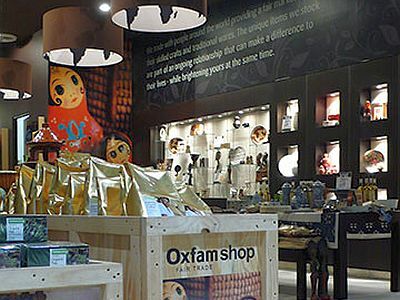 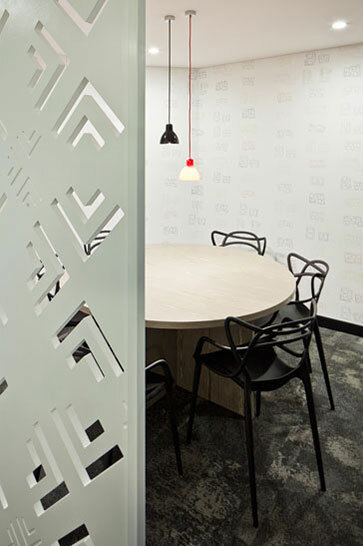 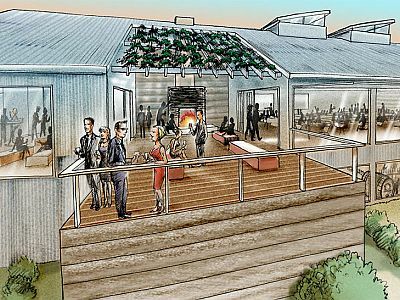 Upon arrival at reception, an informal meeting space is partly visible behind a screen which has been lasercut with the clients logo. 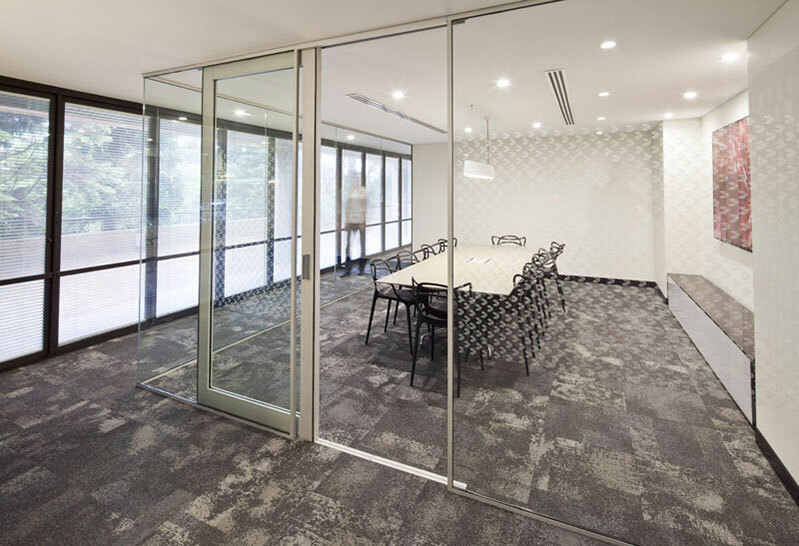 In keeping with the brief, a formal meeting room is enclosed only in clear glass to create a sense of space and transparency.